E-bike (short for electric bicycle) is a bicycle that is equipped with a battery-powered motor that gives you a boost when you need it. Some might imagine e-bikes being like mopeds, but this simply isn’t true. You still have to spin the pedals to power the e-bike, and they are commonly known as ‘pedal assist’ bikes. It’s true that e-bikes can make cycling easier, which also means it makes it more accessible for everyone! If you’ve ever thought twice about taking the plunge into life in the saddle because you’re worried about your fitness level, choosing an electric boost could be a great help to get you started so you can build your confidence. An E-bike is also a great way to stay active without the fear of overdoing it, all while exploring the great outdoors and getting those miles in. Unless you’re cycling in Holland, sooner or later, you’re going to encounter a hill no matter what type of cycling you do. Whilst some savour the opportunity to test the legs, others understandably don’t enjoy the extra effort. Good news though, an electric motor will help you glide to the top without having to drop down gears or pedal furiously. 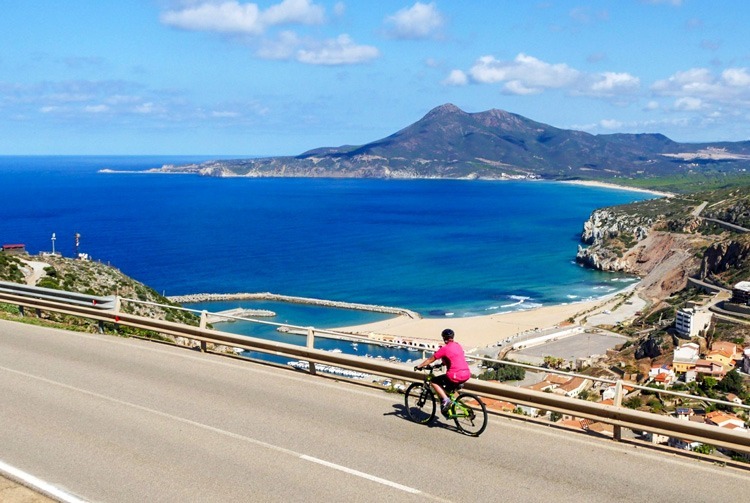 “I upgraded to an e-bike which was great and made the holiday. I was able to climb the hills, not be completely breathless and enjoy the views.” Sheila, UK on our Southern Dalmatia holiday in Croatia. Gears, brakes and handling are very similar to any other bike, meaning you still pedal like everyone else and need to be happy spending time in the saddle. However, at the flick of a switch your superpowers kick in! All of our electric bikes have varying modes of assistance, so you can pick a level that suits you, depending on how you’re feeling. If you head out on an electric bike for a ride, sooner or later you’re bound to get some attention from fellow cyclists curious about the trusty steed your effortlessly pedallin’. You may even hear some self-proclaimed ‘proper cyclists’ going so far as to call it cheating. This is a frustrating question for e-bike enthusiasts and a hot topic for discussion among cyclists. So, is it really cheating? 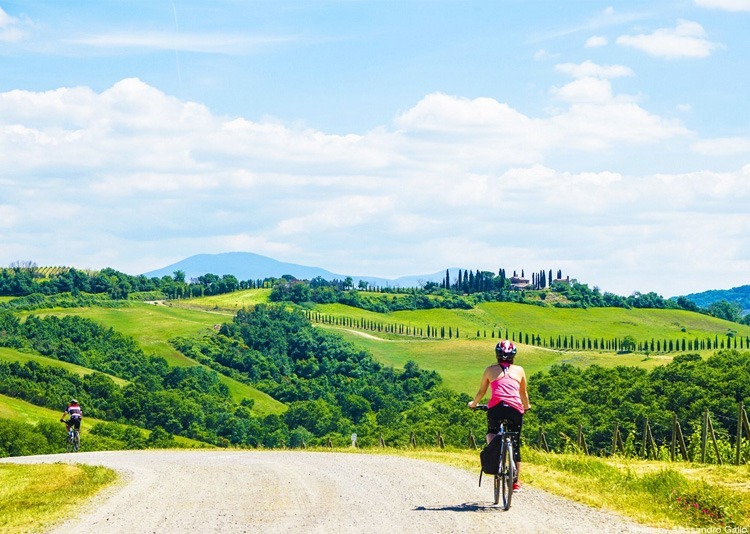 Whether you’re new to cycling holidays and unsure you’ll be able to complete the mileage throughout the week, or simply looking for a bit of extra help en route, an electric bike is a great choice for those seeking peace of mind that you’ll be able to go the extra mile. Even better, you can stop to admire the view and rest assured you’ll not get left behind by your travel companions! 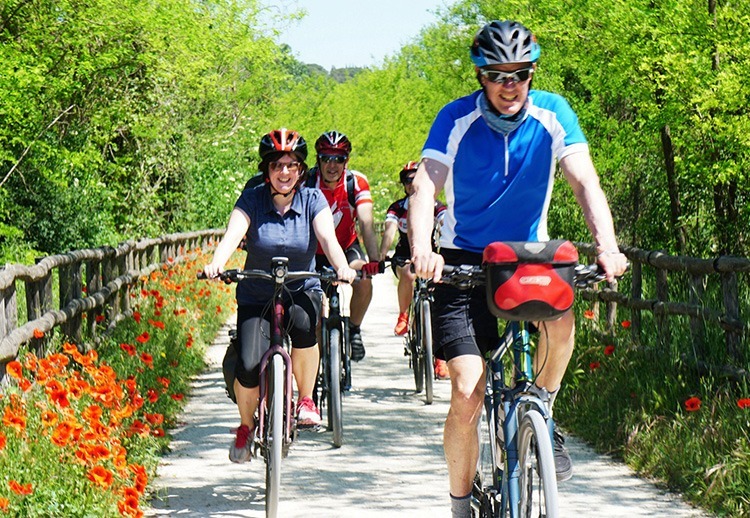 At Saddle Skedaddle, we offer a wide range of Leisure Cycling Ebike Holidays and Family Cycling Ebike Holidays that offer an option to hire an electric bike on tours in the UK and Europe. Keen to go the extra mile? In short, electric bikes offer you a great way to make cycling easier and more enjoyable, as well as making a great conversation starter when you’re about and about! 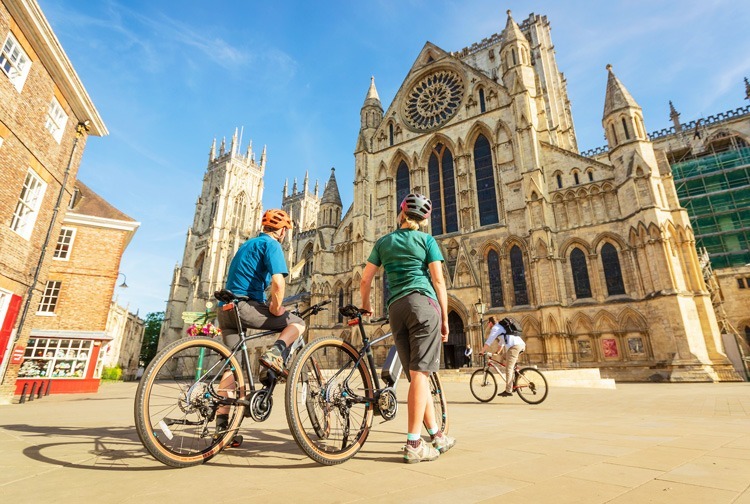 Check out our full range of cycling tours with electric bikes available here and find out for yourself!